Dr Kwan obtained his medical degree and post graduate diploma in Family Medicine at the National University of Singapore. He obtained his post graduate diploma in Dermatology at Cardiff University, UK. He has spent several years practising in various hospitals where he underwent training in general surgery, orthopaedic surgery, emergency medicine, internal medicine, and family medicine. With a special interest in exploring the aesthetic medical facet of his clinical practice, he began to focus on dermatological conditions in general practice and became increasingly interested in aesthetic and anti-ageing medicine. Dr Kwan has a keen interest in the use of non-invasive procedures to consistently deliver safe, significant, and satisfying results not just to treat skin ailments, but also to improve looks and appearances by restoring youthfulness, enhancing natural beauty and boosting self-confidence. He has completed a Certificate Course in Aesthetic Medicine and is currently a member of the American Academy of Aesthetic Medicine. He has experience with the techniques of chemical peels, Botox and filler injections, light-based therapies, radiofrequency, ultrasound based therapies, ablative and non-ablative lasers, as well as hair and weight management treatments. 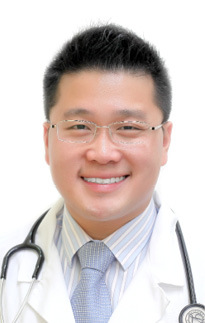 Dr Kwan is known for his professional and caring approach during his consultations. His excellent bedside manner has seen him establish great rapport with all of his patients. Both his peers and patients know him as a helpful, affable and approachable doctor. He continues to upgrade his medical knowledge and expertise by attending aesthetic conferences, seminars and workshops both locally and overseas. He is constantly on the lookout for the latest and safest products and treatments to benefit his patients. Away from work, he is a self-confessed travel addict and photography buff. Through his travels, he finds joy and wisdom in experiencing different customs, embracing new cultures, meeting new people, and trying new food. And through his photography, he learns to be observant, patient, and unobtrusive and to always strive for more. He is always looking to capture that picture perfect moment. Dr Kwan enjoys spending time with his family. He believes firmly in the bonding power of food and relishes good meals with his family. 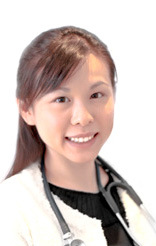 Dr Chuah completed her medical studies and graduated from the National University of Singapore. Subsequently, she went on to finish her post graduate diplomas in Dermatology and Family Medicine. She has completed aesthetic courses organized by the Dermatological Society of Singapore and Aesthetic Dermatology Educational Group and has obtained certificates of competence in medical laser treatments, intense pulse light, chemical peels, botox and filler procedures; which are recognized by the Singapore Medical Council’s Aesthetic Procedure Oversight Committee. Dr Chuah's interest in aesthetic medicine was piqued in medical school, when she was particularly inspired by a story told to her by a plastic surgeon during a tutorial. He related how his patient, a rather shy, young girl, had come to him for breast enhancement surgery. As a plastic surgeon, he had always felt that it was more meaningful to treat patients with burns and deformities. However, when this patient returned to his clinic for the post-operative review, he noted a distinct change in her. She told him how she had always had an inferior complex, and it was so bad that she found it difficult to go for interviews and could not even find a job. After the surgery, she was able to feel more confident about herself, and finally managed to find employment. It was a lesson to us that sometimes enhancing the external beauty of a person may not just be to satisfy their vanity, but can do wonders to their confidence and self-esteem. Dr Chuah believes that in the ever-advancing field of Aesthetic medicine, she is able to provide safe and minimally invasive treatments for her patients so that they can both look and feel good about themselves. Outside of work, Dr Chuah finds pleasure in relaxing to good music. She also enjoys dancing, having spent many years in the ballet studio since young. She has done a lot of choreography work, recently for the NUS Rag and Flag performances and also some charity concerts. She also enjoys good food and will travel to any part of the world to satisfy her craving for a delicious meal. treatments within greater reach of clients. view more. DERMACARE™ Aesthetic & Laser Clinic. sign up. Sign up for the DERMACARE newsletter here & get regular updates on the latest promotions, products & more! DERMACARE™ Aesthetic & Laser clinic is a Singapore based skin clinic that specialized in laser treatment, Ulthera treatment, Coolsculpting and Cosmelan depigmentation. Other services include Vasershape, CoolFit, CO2 laser, Fillers, Pigmentation, Botox, Liposonix, etc.